We at Unemployment Solutions for You proudly offer our unemployment claims management services across the United States. We are a leader in our industry not only because we offer an outstanding product, but also because we have a deep knowledge-base in the many differing unemployment laws across the 50 states. Part of our mission is to also educate you about how these laws may differ from state to state because they can affect you directly. So, join us on our continuing series, in which we explore the differences in unemployment eligibility, tax rate ranges, base periods, and much more in each state. This month, in Your State’s Unemployment Tax Laws, we’ll be looking at Nevada. In the state of Nevada, “employing units,” which are considered to be any individual or organization involved in a partnership, association, trust, estate, joint-stock company, insurance company, corporation, or receiver/trustee in bankruptcy, must register with the Employment Security Division (ESD) and pay taxes on wages paid in excess of $225 during any calendar quarter. If an employing unit falls under these criteria, a Taxable Wage Base amount must be multiplied by an annual unemployment tax rate to determine the amount of an employer’s UI tax liability. Nevada’s Taxable Wage Base is calculated annually to be 2/3 percent of the average annual wage for Nevada employees. These wages must be reported to the ESD each quarter for each employee under an employing unit. However, any wages paid to each employee, which exceed the Taxable Wage Base during the calendar year are not taxed. The following table details the most recent Taxable Wage Base amounts in Nevada. A claimant’s eligibility for unemployment is partially based on his/her completing a twelve-month Base Period of employment. In Nevada, the Base Period is usually the first 4 of the last 5 calendar quarters of an employee’s completed employment. However, recent state legislation in Nevada has created an Alternative Base Period for determining a claimant’s entitlement to insurance benefits. Under Nevada Revised Statute 612.025, if a claimant is ineligible for the standard Base Period, the Alternative Base Period comes into effect, instead accounting for wages paid to the claimant for the most recently completed 4 calendar quarters. When it comes to the UI tax rate, if a Nevada business has only recently started, employers will pay an unemployment tax rate in the amount of 2.95% of wages paid to each employee up to the Taxable Wage Base limit. 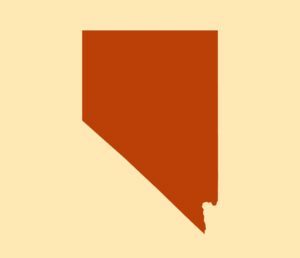 This rate remains constant for the first 14 to 17 calendar quarters (depending on the quarter in which the business becomes subject to Nevada law), after which the rate becomes subject to an Experience Rating system. Once an employer becomes eligible, the Experience Rating system tracks an employer’s experience record with unemployment and determines one of 18 unemployment insurance rates ranging from .25% to 5.40%. An employer’s experience record is determined by collecting information about accumulated taxes paid, accumulated benefits charged, and average taxable payroll for the 3 years prior to the calendar year. However, there are various ways for you to take control of your unemployment costs. Nevada’s Unemployment Insurance website has a full list of recommendations for you to consider, but here are just a few that we have identified as having some of the most impact. Pay your UI taxes on time. Respond to ESD notices timely, honestly, and accurately. Avoid layoffs whenever possible and consider offering part-time work to workers who are laid off. Of course, there are resources available to employers that will ensure these processes are properly managed and that no employer will need to pay more for missed deadlines or opportunities. Unemployment Solutions for You is dedicated to assisting you in achieving your best possible unemployment tax rate, as well as in managing your unemployment claims. For more information, please give us a call toll free at 800-928-5750.